Acrylic lens magnifies 4 times to help with small, close-up work. 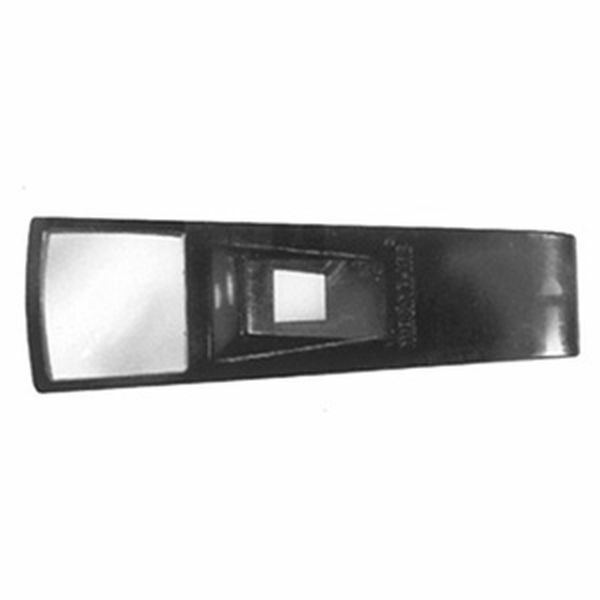 Plastic case magnifier is only 5" long, and has a 1-1/4" square viewing area that is illuminated. Takes two AAA batteries that are included.